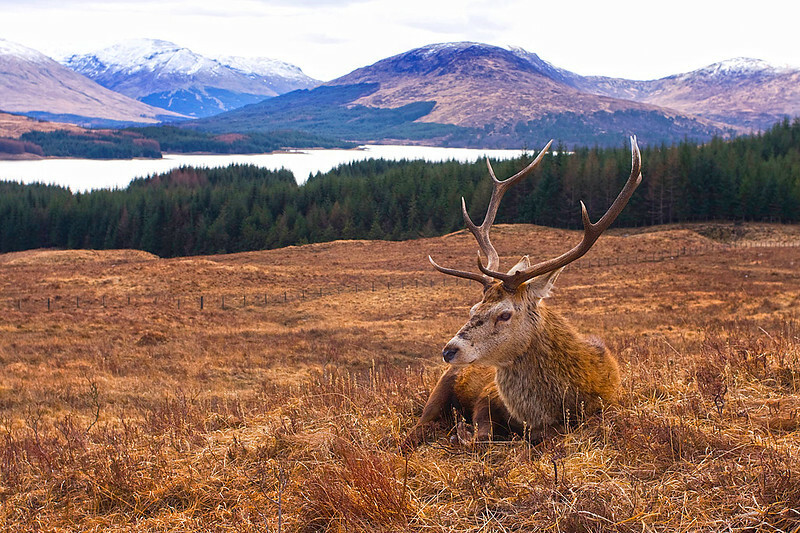 Red Deer Stag near Loch Tulla. John Chapman. Great rack; he look on the verge of getting up and running! This is so GOOD! Happy New Year. Very well done -- Hope you & yours have a super 2015. Beautiful scenery and excellent shot of the deer.